New Teeth in a day, Now that's something to smile about. If missing and failing teeth or dentures are stopping you from smiling, enjoying your favourite foods or kissing with confidence, then new fixed teeth fitted in a day on permanent dental Implants at Bridge Dental and Implant Clinic could be the answer to your problems. Traditionally, having dental Implants fitted has taken in excess of three months. After initial surgery, the process of osseointegration is allowed to take place, then a second surgery is required to expose the Implant and fit the permanent teeth. Why wait 3 months for a replacement tooth? At Bridge Dental and Implant Clinic we can fit dental Implants and provide you with a tooth replacement to wear home on the same day. Using the latest generation of dental Implants with specially treated surfaces and improved thread designs, together with new proven and accepted techniques we can achieve much greater Implant stability whether replacing a single tooth, or a full arch. This stability is the key to the success of the same day approach. Healing is quicker, with less discomfort and a second surgery is not normally required - great news if visiting the dentist fills you with dread! At Bridge Dental and Implant Clinic we are committed to providing first class, friendly patient care and you can be sure that your experience will be as smooth and comfortable as possible, from initial assessment to leaving with a beautiful new smile. We understand that making a decision about replacing teeth or dentures is not something that should be taken lightly, so we offer a free initial assessment to see if a same day solution would work for you. These is no charge, whether or not you choose to go ahead. So take the first step towards a new smile and a new you, talk to the same day Implant professionals now. 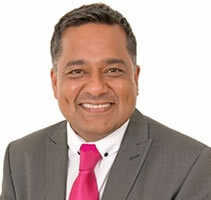 Moss Osman, the founder of Bridge Dental & Implant Clinic, graduated from Bristol University in 1993. He has over thirteen years of experience in the field of Dental Implantology. His training has been in the UK. His particular interests are Implants in the cosmetic zone - making Implants imperceptible from natural teeth. Any questions? Ask Dr Munaf Osman.